The oscilloscope software application bundles unlock the rich functionalities of our digital oscilloscopes. This very attractively priced bundle includes all currently available software options as well as the arbitrary waveform generator and pattern generator hardware option. Buy a new R&S®RTB2000 oscilloscope from March 1st, 2019 through June 30st, 2019 and save 50% on the list price of your software and hardware bundle. 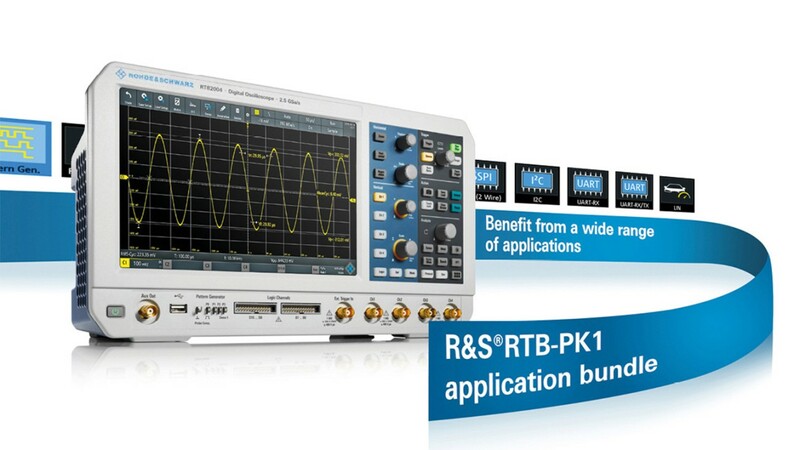 You get the full functionality of all the trigger and decode options for the R&S®RTB2000 oscilloscopes. The bundle also equips your R&S®RTB2000 oscilloscope with 160 MSample segmented memory, the by far largest segmented memory in its class.